Emmy Vadnais, OTR/L, BCTMB, ARCB created and manages the Holistic OT Community. She supports all health care professionals to utilize the profound healing approaches of complementary and integrative health, wellness, and prevention. 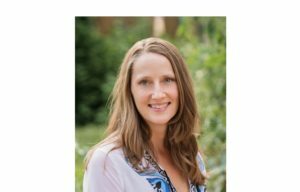 Emmy is a Holistic Occupational therapist, who is Board Certified in Therapeutic Massage and Bodywork, an American Board Certified Reflexologist, and Intuitive Healer who specializes in integrative health, wellness and prevention. She graduated with her B.S. in occupational therapy and psychology from St. Catherine University in 1996. She is the co-founder, with Mandy Lubas, OTR/L, and director of the Holistic OT Community that supports OTs interested in or practicing integrative health, wellness and prevention. She has a deep understanding of the mind-body-spirit connection having provided care as an OT and integrative health practitioner in the hospital setting, nursing homes, clinics, and private practice. She is trained in medical qigong energy healing, meditation, mindfulness, relaxation techniques, intuitive development and healing, guided imagery, massage therapy, acupressure, reflexology, aromatherapy, myofascial release, craniosacral therapy, emotional freedom technique (EFT), and yoga. She has been studying and practicing holistic and integrative health for 20 years. She teaches continuing education and provides consultation to health care professionals about how to incorporate holistic and integrative health approaches into their practice and for self-care. She is in private practice serving children and adults. She manages this website and all of the Holistic Occupational Therapy Community events and social media. Read more about Emmy here. Emmy can be contacted at emmy@emmyvadnais.com or learn more about scheduling an appointment with her here.